As we try to make sense of the beautiful, complex, and overwhelming diversity of life on our planet, we usually start, quite simply, by first naming, and then grouping, things. When applied to species, this basic process of sorting and grouping, looking for patterns of similarities and differences, generally has the cumulative effect of something surprisingly grand — outlining some of the main branches on the tree of life. But evolutionary history is long, and complex processes can be at play. Some of the patterns we recognize have nothing to do with how closely related species are. 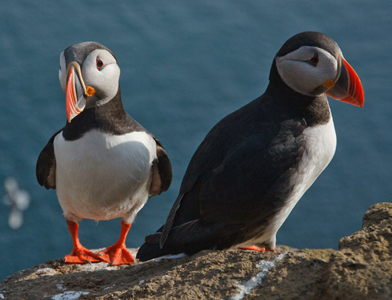 Like how puffins and penguins are both stocky, black-and-white birds with small wings. These similarities are a result of their independent adaptation to extremely aquatic lifestyles, rather than shared family history. Things like this can cause us to misinterpret the patterns we see. Thus, the tree of life holds many surprises. There are two reasons why this is such an interesting discovery. First, just about everyone on the planet knows the players. Most of us can recognize a parrot. 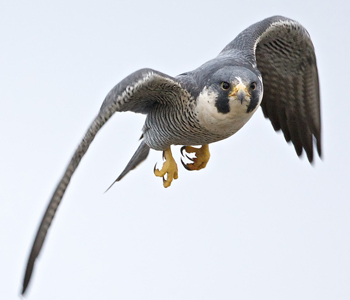 A Peregrine Falcon’s killer dive-speed is famous. 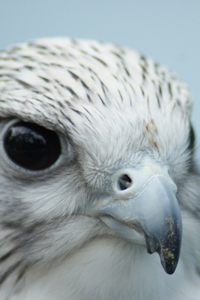 We generally understand what hawks and eagles are, and we know that falcons are kind of lumped together with them. 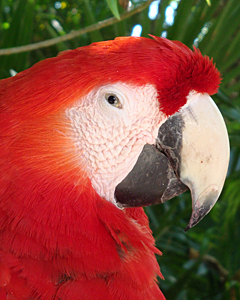 Parrots: Plumage in bright, saturated colors. Social. Smart. Most species found in the tropics. Strong hooked bill used to tear apart fruits and nuts. 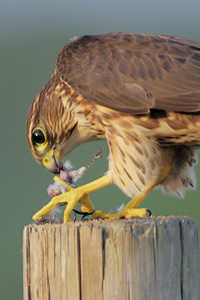 Falcons: Awesome predators. Superlative fliers. Plumage exclusively in earth tones. Relatively solitary. 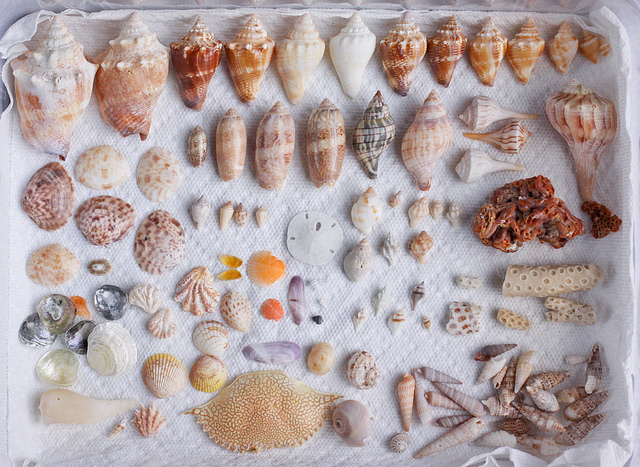 Found from the tropics to the Arctic. Strong hooked bill used to tear apart prey. Hawks and eagles: Everything we just said about falcons also applies to hawks and eagles. 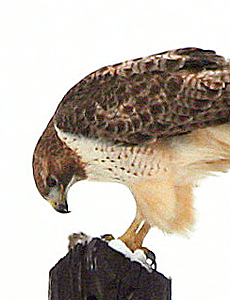 Hawks and eagles, though, tend to soar as they watch for prey, while falcons tend to rely on speed for active pursuit of it. So, you don’t have to be a specialist in bird taxonomy to have a guess about who is related to whom based on similarities, right? When biologists sat down to organize bird biodiversity, most put the falcons in the same taxonomic basket as hawks and eagles. It turns out this was a mistake akin to putting puffins and penguins together. 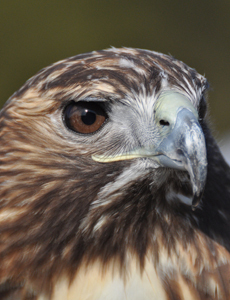 Hawks and eagles are aerial predators, and so are falcons. Apparently, the predatory lifestyle has driven these two unrelated groups of birds to converge upon each other — not only in the shapes and sizes of their bodies, not only in the color of their feathers, but also in their relatively sparse numbers and solitary lifestyles. Now we know the surprising truth. 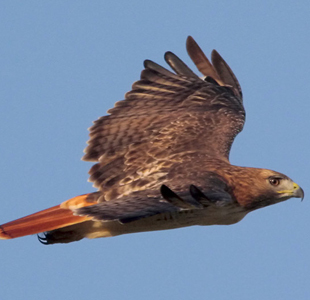 The similarities between falcons and other raptors, including hawks and eagles, is one caused by “convergent evolution” and not shared family history. And what about parrots and falcons? 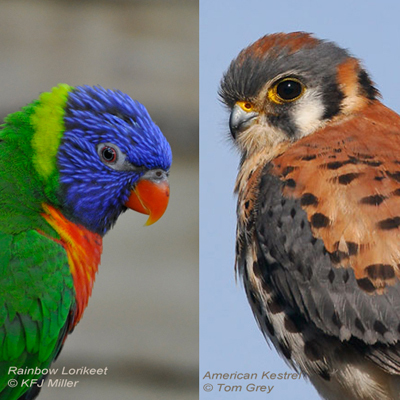 Besides the powerful curved bills, do these groups have anything in common? The answer is DNA. Lots and lots of DNA. DNA codes nearly everything about the final form and behavior of an animal. The “complete sequence" of DNA found in an animal (or plant) is referred to as its genome. If the genome were likened to a book, we would say it is telling a very, very long and very complex story. Thus, the genome of any animal is a goldmine of information. Through our genomes, each of us, in fact every living thing, represents one version of “the book of life.” Comparing versions of this book, we find that some parts of the story are changing all the time. These parts correspond to rapidly evolving genes, such as those in our immune systems that must change all the time to respond to new threats. Other parts of the story have remained essentially unchanged for hundreds of millions of years. These parts of the story correspond to highly conserved genes, which tend to govern basic life processes shared by all organisms. The versions and variations of these “books” are as diverse as life itself. However, if you can read a copy of one species’ story and compare that copy to other species’ versions, you will start to see patterns in how the versions relate to one another. More closely related species share more of the story and have fewer discrepancies between versions. 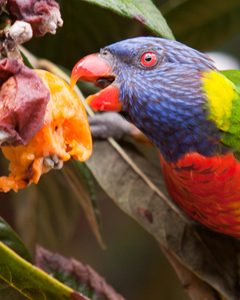 Analyses of the entire genome of several species of birds indicate that parrots and falcons shared many more years of evolutionary history together than previously believed. They share passages of their stories uniquely with each other (at least relative to all other birds except songbirds, but that is another story). That is, parrots and falcons shared an ancestral species — think of it as a little branch on the tree of life — whose DNA kept evolving little bits of the story long after they split off from the lineage that led to the “other raptors,” hawks and eagles. Hawks and eagles have unique passages of their own. Currently, there are dozens of labs around the world working to discover the branching patterns on the tree of life for this or that group of birds. How are the chickadees related to each other? What other birds are chickadees most closely related to? How are ducks related to each other? 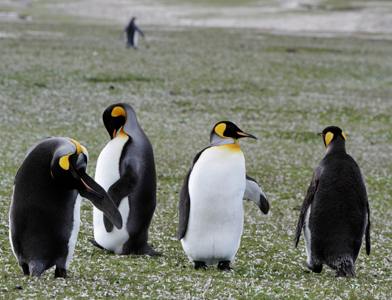 If penguins aren’t related to puffins, what are they related to? Thousands of questions of these sorts are being posed, and sophisticated analyses of the patterns found in the DNA are spitting out answers. Some of these answers are more clear than others. 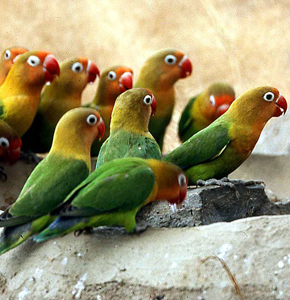 Most of them are consistent with what scientists had already thought: parrots are still parrots, after all. But then again, surprises, like the falcons+parrots one, just keep coming out. Keep your ears open for more surprises from the tree of life. 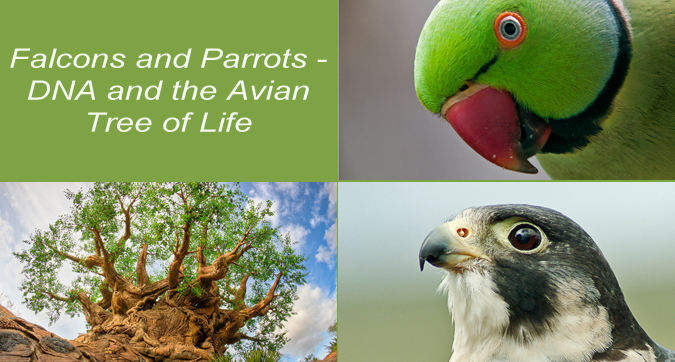 Listen to a BirdNote show titled Falcons, Parrots, and The Tree of Life.